Vermont Antiquarian Booksellers Association Book & Ephemera Fair! This Saturday, come and visit 25+ booksellers as they display their most interesting books and ephemera! And what better place to go and find other folks that are as passionate about your interests as you are? FREE Admission- Please share with your friends and we hope to see you there! paper collectibles. Even our Rare Books are half price. wonderful prices and so little time. discount. But we’ve got over 50,000 sale books awaiting you in Plainfield. What: A Half Price Sale. When: Starting Friday, July, 4th. Ending Sunday, July 13th. Hours: 10 AM to 5 PM, 7 days a week. 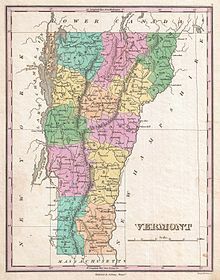 Address: 35 Mill Street, Plainfield, VT 05667. The VABA Spring Book Fair will be held on March 23rd from 10-4 at the Sheraton Hotel in South Burlington. Rare and unusual books, postcards, maps and ephemera will be available from 30+ New England dealers. From Nancy Drew to books from the 1600s, stock certificates from the 1800s to postcards from the 1900s, there is something for every interest and price range. Some local historical groups and bookbinders will have displays as well. Directions: The Sheraton Hotel is just off Interstate 89, Exit 14W. Please call if you need more information: books [at] TheEloquentPage [dot] com or 802-527-7243. 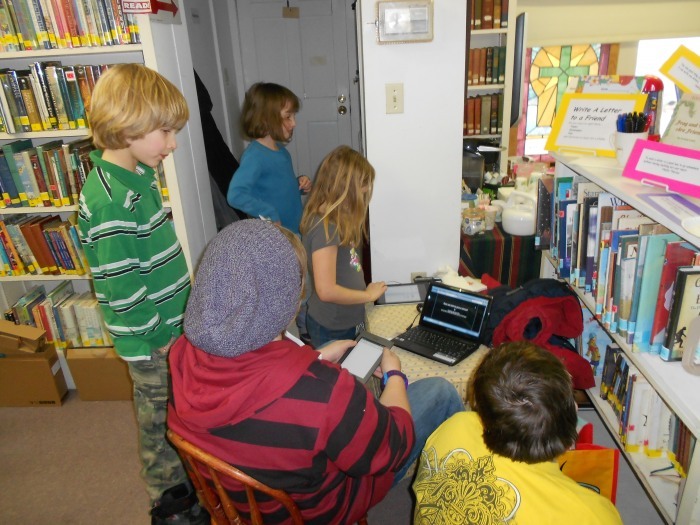 The Craftsbury Public Library’s annual huge Book Sale is even bigger than ever this year. The library has received more donations than ever before, with over 9,000 books sorted and ready for the sale. Books cover a wide range of topics including new popular fiction, mysteries, classics, antiquarian, cook books, travel, Vermont, how-to, gardening, history, children’s books and much more. Most books range in price from $1-$3, and there is a special antiquarian section with beautiful rare and collectible books. Because of the huge number of books for sale this year, the library has decided to try something new. Our regular book sale will be held on Saturday, July 13 from 10AM-4PM, in conjunction with Antiques and Uniques. This year there will be a second day of sales on Sunday, July 14, with books on sale for half price (excepting the antiquarian books). All proceeds from the sale go directly to the library. We are seeking volunteers for helping with setup, sales, and cleanup. If you are available to help out for a time slot, please let us know by signing up at the library, or giving us a call. Thank you! On any given day, the Craftsbury Public Library houses over 15,000 books on its shelves, but on Wednesday, July 17 the books on display will be from a whole different league. 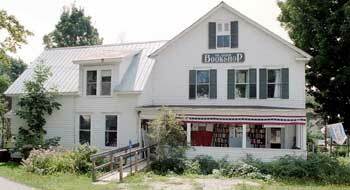 Craftsbury is home to an unusual number of artisans who create and restore fine books. Tom Twetten of Craftsbury Antiquarian Books, Carol Ceraldi of Graham Hill Bindery, Chris McDonnell, and Kristin Urie will tell us about the work they do and show us examples of their work, including works in progress so that we can see the stages in creating an artisan binding. Please join us at 7PM to view their work and learn about how it is created. Author Christina Shea visits the Craftsbury Public Library on Sunday, July 28th at 3PM. A faculty member in the MFA program in Creative Writing at Lesley University, Christina is the author of two novels, Moira’s Crossing and Smuggled. An intimate look at the effects of history on an individual life, Smuggled spans four decades in a woman’s quest to regain her identity from the conflicts that defined her youth. In the final winter of the Second World War, five-year-old Éva Farkas is hidden by her mother in a flour sack and smuggled across the Hungarian border to Romania. Her aunt and uncle rename her Anca and forbid her to speak Hungarian ever again. As years pass, an unquenchable spirit emerges, full of passion and imagination even as a uniquely twisted brand of Communist oppression threatens to derail Anca at every turn. Smuggled is a fearless and intimate account of one woman’s transformation in the wake of violent history, and a viscerally reflective tale about the basic need for love without claims. Christina will read from Smuggled and speak about her experiences researching and writing her two novels. Deb on Why Would You Go To A Book Fair?